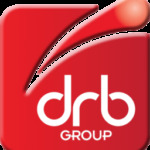 DRB’s client is a world-leading pharmaceutical company that develops and globally markets pharmacological products. CHALLENGE: The client needed a fully operational solution within a 90-day window to continue operating in one of their overseas markets. Laboratory conditions meant the fabrication materials were strictly controlled. SOLUTION: DRB designed, manufactured and commissioned a fully-operational solution that met all their client’s and the regulator’s requirements within the 90-day window. VALUE: DRB’s technical intelligence and practical experience enabled the client to meet the strict regulatory deadline. This saved the client millions of Euros in potential lost sales revenue, ensured the overseas business unit could continue to operate, and meant the client didn’t need to go through a lengthy and costly product recertification process. The equipment is in full use now and we have been able to meet our milestone and send information to [country] 16 days early; we await their verdict. Thank you to all at DRB that contributed, it has been tough going at times due to the pressure we were under but importantly we delivered, and it works, which is fantastic given the tight timelines.